The carpet beetles in Las Vegas is prevalent throughout many regions. Luckily, there are steps to reduce the risk of a carpet infestation. Now you may be wondering what the carpet beetle is? Just the fact of it crawling around the home gives you the heebie-jeebies. We are here to help inform you about the pestilence. You can find the carpet beetle in any home even without them making an appearance, and they are there. When present, they can be a beneficial pest to have. They help to break down organic matter and clean up after other bugs. They feed on different substance from empty stinging bug nests, bird nests, pollen, to dead insects. The biggest problem having them in the home is that they do eat household items if in large groups. The insect is a scavenger and often feast on materials such as bookbindings, rugs, furniture, fur, protein-based goods, and skin. They are most destructive when in larvae from and as they mature they shed their skins and a sign that you have an infestation. In the city, you can find two common types with both an oval shape and white, yellow, and black in color. The first thing you will notice is the larvae with a striped appearance and covered with bristles. Give Ranger Pest Control a call, and we will send someone out to come and inspect the home. With the help of our skilled technicians, they will locate the source and have a strong understanding of the carpet beetle. They will recommend products that work to help with the treatment. 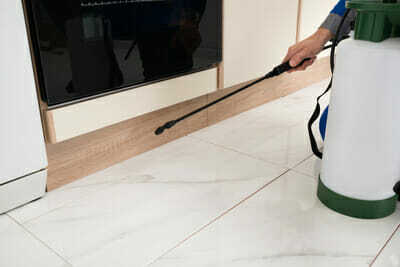 Our qualified staff will dispose of the infested items if needed. Further, we will eliminate the food source from clothing, rugs, to other objects. Further, the items and affected area will get a thorough cleaning to make sure there is no trace of the bug. The technicians will then prepare the area for treatment. We have some useful products used to treat the area. Our qualified technicians will work with you to find the best solution you are comfortable with using in the home.